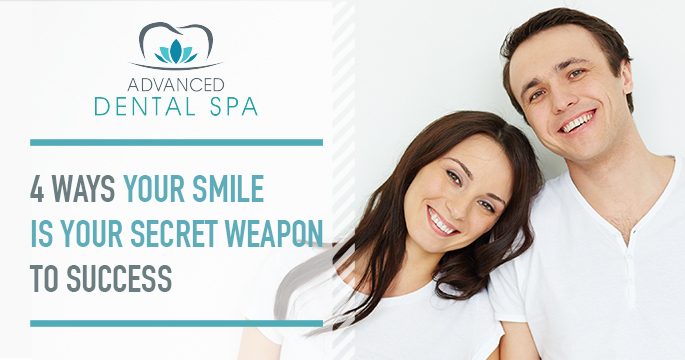 In one of our previous articles we talked about how your smile is your secret weapon to success. That is still incredibly true, but smiling more also leads to your overall happiness levels increasing as well. Charles Darwin first explored this idea in 1872 when he wrote “The free expression by outward signs of an emotion intensifies it”. So if you frown, you are more likely to feel sad and stressed. But if you smile, you are much more likely to feel happy. In 2009 a study run by the University of Cardiff was published in the Journal of Cosmetic Dermatology, which followed 25 cosmetic-surgery people, 12 of whom received injections of Botox and the others got fillers and placebo treatments for wrinkles. Two weeks passed and all the participants were given a Hospital Anxiety and Depression test (a self-screening survey) and they rated their treatments on how successful they thought they were. The crucial findings were that those who received real Botox scored much lower on measure of anxiety and depression compared to the placebo group. They also found that there was no significant difference between how successful they thought their treatment was and how attractive it made them feel, suggesting that the mood boost wasn’t just to one of self-confidence. Botox paralyzes the muscles involved in facial expressions. You are then unable to frown and make yourself feel sad. The connection between this and a lift in the mood, suggests that there is a link between the expressions you exhibit and how you feel. As such, you are able to able to trick your brain into feeling happy or sad just by the facial expressions you use, based on the research above. In his TED talk, The Hidden Power Of Smiling, Ron Gutman talks about a study in Germany, which used fMRI scans on the brain to measure brain activity before and after the injection of Botox. The findings of this study supported the one above and also Darwin’s theory that your facial expressions modify the emotions your brain produces, making you feel better when you smile. As we mentioned in our last article on the power of smiling, smiling more reduces your stress levels, which is also good for your health. Smiling releases endorphins and helps to reduce your blood pressure. It’s also contagious and makes you look good to others, who feel better when they see you smiling and view you as a more competent person. So anytime you want to reduce your stress levels, look more confident, feel happier and live a healthy life, just remember you have an amazing, powerful and free tool that is your smile. 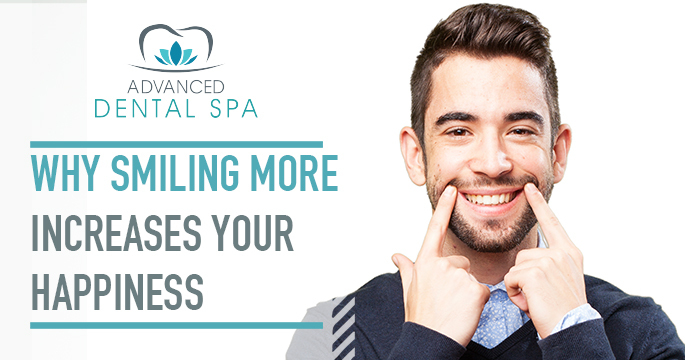 We strive to make you feel your best and bring happiness into your life, so if you have any concerns in regards to your smile, don’t hesitate to contact us today. You can see some of our amazing transformations and make a plan to your happy, fulfilling life. Going to see your dentist can be overwhelming at times and a lot of people put it off because of it. 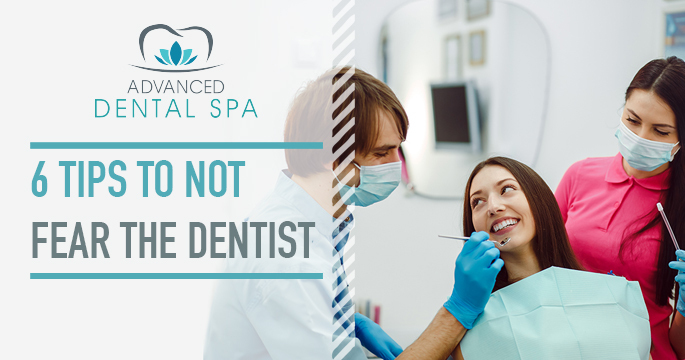 However not seeing the dentist regularly can lead to dental problems you couldn’t foresee and force you to spend even more time in the chair. That’s why we are here to ease your worries with 6 tips on how not fear the dentist. Admitting to yourself that you feel anxious about going to the dentist is the first step in helping you deal with it. Really think about what it is that worries you and write them down. Are you concerned about the pain or about feeling like you have no control when you’re in the chair? Are you worried about feeling a bit claustrophobic when the light shines down at you whilst the dentist looks inside your mouth? Trying to clearly identify what it is that worries you about the dentist will help you find a way to deal with it. It is highly important to have a dentist that you trust and feel comfortable with. Communication is key here, so make sure you voice your concerns the first time you go to in for an appointment. 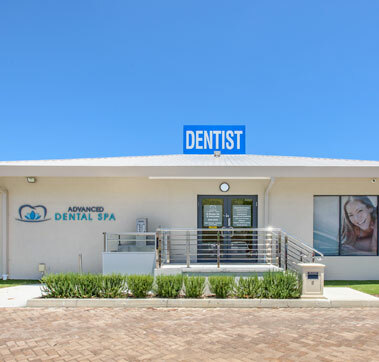 When you have the right dentist, they will work with you to ensure that they create an action plan that will work specifically for you, to eases all your worries, apprehensions and fears. Whether that means starting slow and having a couple of appointments for you to just get used to being in the chair or explaining everything very clearly and in detail so you know exactly what to expect and when to expect it, it will get you more comfortable with the situation and ease you into any treatments you might need. You and your dentist can also agree on a symbol that you can give if you start feeling uncomfortable or anxious. This way you will always be able to pause if you need a little break. Bringing someone you trust and feel comfortable with to the appointment can make you a lot more relaxed during it. It’s best of course that it is someone who has no fears of dentists, so they don’t stress you out even more. Studies have shown that doing the toughest things first, makes you feel effective, makes you avoid the ‘looming’ feeling and helps you practice your will power. Successful people like to do the biggest thing of each day first. Take away from this and book a morning appointment. For example, our spas are open as early as 8:30am! It will stop you from having dreadful apprehension all day. Having someone come along with you is a great distraction, but you can also try out other things. See if it’s possible for you to listen to some music whilst the treatment is happening or find something to play around with, such as a stress ball. Noise cancelling headphones also work well or even ear buds, if you think your anxiety may be due to the sounds of the equipment working. If none of those are an option, you can always recite the timetable or try memorizing the alphabet backwards. Come up with something you’ll treat yourself to after the appointment. It’ll give you something to think about and look forward! It can be absolutely anything as well, whether it’s something you’ve wanted to buy for a little while or its getting a nice lunch or dinner out, come up with something you will enjoy and get excited for! Feeling anxious of the dentist is very common but it shouldn’t deter you from looking after your oral health. 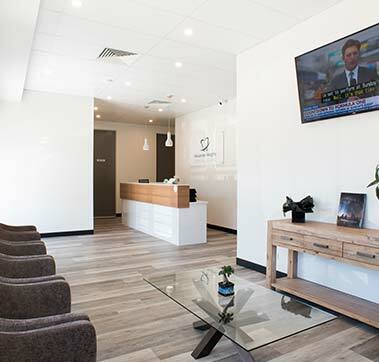 Follow our tips and book an appointment with one of our friendly specialists to further discuss your concerns and ways we can help you overcome them. 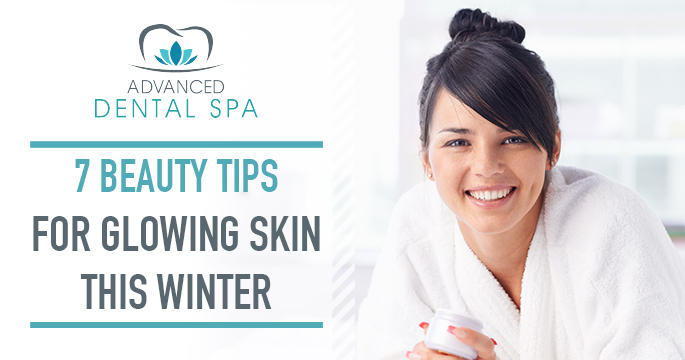 Keeping your skin glowing, especially during the winter months can be difficult. The cold weather and low humidity levels lead to dry air, which tightens your skin and steals all of the moisture out of it. This can result in cracked and rough skin texture which is further exacerbated by the hot, dry air that usually comes from indoor heaters. For this reason, we summed up the 7 most effective ways to protect your skin this winter and get that summer glow even in the colder months! Rather than using a water based skin moisturizer, try opting for the oil-based version, as it will help keep your skin hydrated and nourished for a longer period of time. It is also better to look for more natural ingredients as some chemicals, such as ones derived from petroleum for example, can dry out your skin incredibly fast, especially in harsh conditions. Regardless of how cold and dark it may be outside, put in the effort to exercise at least once a day. In summer we feel better and our skin is usually a lot healthier because we spend more time outdoors doing things. So get out of bed and get active, whether that’s walking, cycling or a gym class it will make sure that you maintain your natural radiance. You skin and body will thank you for it. In the colder months, people generally tend to consumer less water as we reach for warmer drinks such as coffee and hot chocolates. Ensuring that you still get your daily-required amount of water will help your skin to be revitalized and glow from the inside out. Warm water with honey or lemon is a great way to get your water intake and also keep warm. 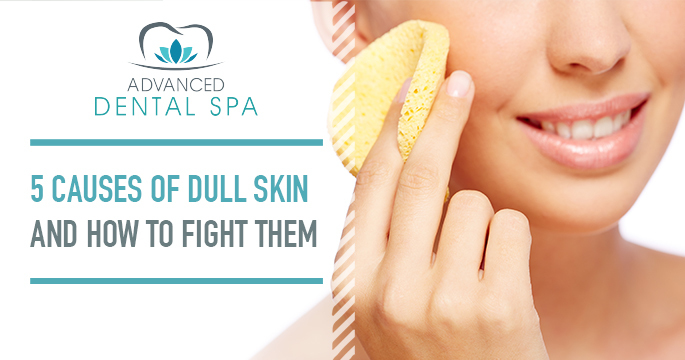 As we talked about in our article on dull skin and how to fight it, using a gentle exfoliator daily helps remove any dry, dead skin cells. This allows all of your other skincare efforts such as moisturizing, toning or even facials to absorb the beneficial vitamins a lot better, leading to more healthy, glowing skin. As mentioned above, indoor heating is usually a culprit for your skin, as it’s completely dry air, which unfortunately does extract all the moisture from within your skin. That’s why now might be a good time to invest in a humidifier, as it will help keep your skin hydrated, ensuring that it is soft and plump. Plus there are other benefits to humidifiers, such as being able to use different oils in them to help you relax and they are also known to aid with cold symptoms. Winter sun is just as damaging as summer sun so ensuring that you are constantly protecting your skin from the rays is a sure way to help you have more glowing, clear skin. Sun damage is very difficult to reverse and the cold weather should not deter you from applying sunscreen before or after your moisturizer. If you have been trying your best to look after your skin and yet it’s still feeling dry and textured or if you have been too busy and skincare has been getting pushed to the backburner, it might be worth looking into a HydraFacial service. A facial like that will help remove all impurities from your skin, whilst also feeding it nutritious serums which will help your skin be less textured, clearer and more glowing. Plus, it’s extremely soothing and it doesn’t irritate the skin, both of which are crucial factors to consider during winter. If you’d like more information and to find out how it can be altered to your specific skin type, please don’t hesitate to book a consultation with one of our friendly therapists today. Taking care of your skin both on the outside and on the inside is highly important to ensuring you maintain glowing, plump, healthy skin even as the temperature drops. Follow our easy tips and you will see a change in your skin appearance and texture in no time! In this day and age, we understand that you are constantly busy. Your to-do list seems to never end and you doubt you can squeeze anything else into your already over-crammed schedule. Especially something like going to the dentist gets pushed back on the list of priorities. 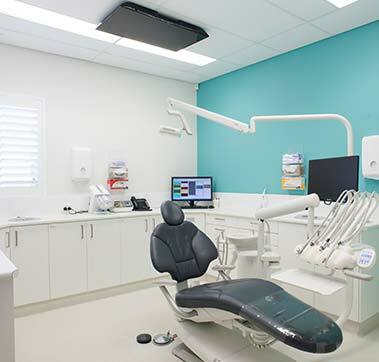 That’s why this year, for Dental Health Week (7th till the 13th of August) the Australian Dental Association (ADA) is focusing on oral heath for busy lives! 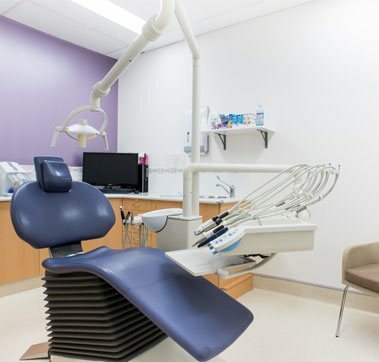 16% of Australians claim that the reason they don’t go to a dentist is because they have no time and are too busy. 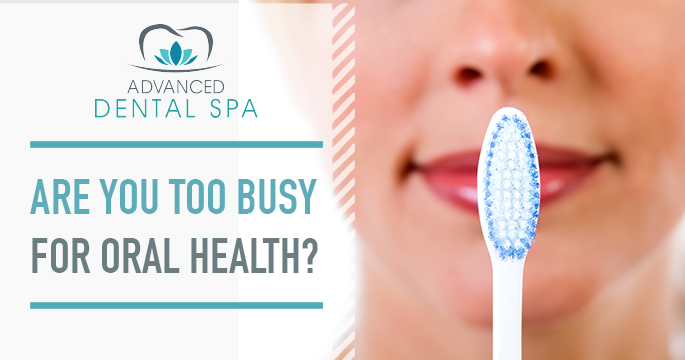 However, not looking after your oral health can lead to long-term damages that will only require more time out of your busy routine rather than if you just keep up with your oral health everyday. That’s why the ADA made a four-point list of the most important, simple things you can do every day to ensure you aren’t required to spend more time on your oral health in the future. 1) It may be obvious but it’s brushing your teeth for at least two minutes, twice a day. The key here is to understand the importance of the right toothpaste and the right toothbrush. It’s recommended that you use a soft bristle toothbrush, as harsher ones can cause damage to your gums. Plus, when you are looking at the huge variety of toothpastes available it’s important to choose one that contains fluoride in it. Fluoride helps to strengthen your teeth, making them more resistant to sugar and acid, saving you from decay. 2) The second tip is to incorporate flossing at least once a day into your routine. The most important thing here however, is to do the flossing correctly. It’s best to ask your dentist to show you the correct flossing technique, as you don’t want to end up damaging your gums. Plus flossing correctly can save you time as you won’t be worrying about what and how you’re meant to be doing it. Another option to save time is to floss using a floss threader or a floss pick, as they are simpler to maneuver. 3) To make sure you have optimum oral heath the third tip is to eat healthy and have less sugary food and drinks. Sugar is the single, biggest cause of tooth decay so limiting it as much as possible will save you future oral heath issues and it doesn’t require you to invest any extra time into your day. Plus eating healthy has a huge number of other benefits such as giving you more energy, allowing you to be more focused and feeling less stressed. 4) Finally the fourth tip is to visit your dentist at least once a year. Although this would take a little more time out of your day, it can save you from developing tooth problems that you yourself might not be able to detect. 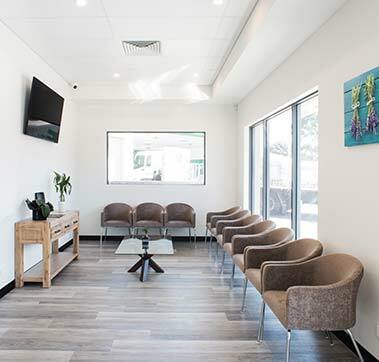 Across our three clinics we have opening hours as early as 8:00am and as late as 6pm to accommodate your busy working lifestyle. We are also open on Saturdays for those who have absolutely no time during the working week. Finding the time to look after your teeth today, can save you a lot of time and money in the future. By just giving five minutes a day to your oral heath, you can prevent serious tooth problems, so follow the four tips and book an appointment with your dentist today. 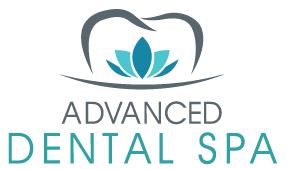 Author Advanced Dental SpaPosted on August 10, 2017 February 22, 2018 Leave a comment on Are You Too Busy For Oral Health? Having beautiful, glowing skin is something most of us want and it’s important to remember that to achieve it you have to look after yourself. Today however, there is so much advice out there for how to do it, that is can be slightly overwhelming. 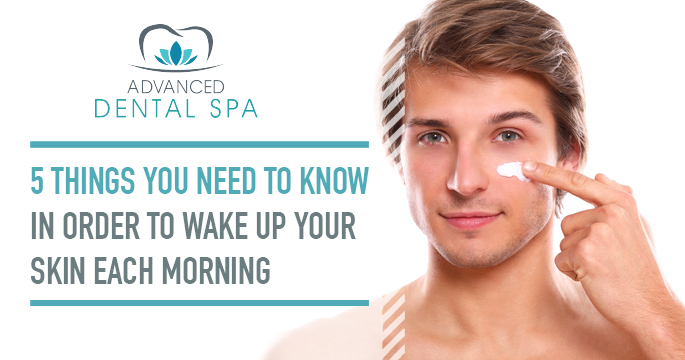 That’s why we have summarised the top five things you need to know in order to help you wake your skin up each morning. Mornings can sometimes occur in a bit of a blur and skincare may not be your top priority. That’s why, having a strong night time routine, that actually works for your skin is crucial. Step one to this routine should be removing your makeup. Leaving it on allows all the dirt and toxins to clog your skin up whilst you sleep, causing breakouts and damaged skin cells. Cleansing, moisturising and exfoliating the night before, ensures that your skin is well rested and looks fresh in the morning. However, you do need to make sure you have a routine that works for you, so it’s best to get professional advice to discuss your skin type and the kind of treatment that would work best for you each day. Not only is cold water good for drinking to wake you up and get your metabolism going, it’s also amazing for waking up your skin. Splash some cold water on your face before you cleanse it in the morning. This will help you wake up and if you suffer from puffy skin, this is a great way to de-puff it! Just like you need to get energised each morning, your skin does too. Using a morning specific moisturiser or serum can really help in making a difference in how plump your skin look and feels. These contain the ingredients needed to give you skin energy each morning. If your skin is looking particularly dull you can look into using an illuminating serum on top as well. These usually contain vitamins that work to even out your skin pigmentation and give you a fresh glow. Although this may be a cliché, it’s true. Making sure you have a nutritious, healthy breakfast can really affect the way your skin looks through out the day. Add a few extra antioxidants to your meal and help your body reenergise the skin from the inside out. And of course, don’t forget to drink lots of water! Hydration is one of the keys to healthy, glowing skin. Whether that’s a deep nourishing mask the night before or a quick sheet mask in the morning, when you have the extra ten minutes, treat your skin to a mask. Masks are a great way to pamper yourself at home and you can pick and choose the kind of mask you want to use depending on how your skin is feeling that day. For example a mud mask can be good in the evening to help clear out your pores of any dirt, whilst a tightening sheet mask can be good as a quick skin treatment in the morning, to prepare the skin for the day ahead. You definitely don’t need to do this every day, once or twice a week is sufficient. It’s also good to go to a dermatologist to get advice of the kind of masks you should be using, as these should be tailored to your skin type. Those are our top tips to help you revitalise your skin each morning and make it look and feel fresh and awake! Don’t hesitate to book a consultation with us today if you are unsure about where to start with your skin and we will help you figure out your personalised routine. Realising that you grind your teeth at night can be a bit of a challenge as you are not awake for when it is happening. Teeth grinding is more formally known as ‘bruxism’ and is the habit of grinding and clenching the teeth, in this case when you are asleep. There are lots of reasons why you might be grinding your teeth including stress, drug use, illness or even dehydration but if you suspect you might be grinding your teeth at night, the best thing to do is to consult the dentist. But how would you know if you’re grinding your teeth at night? Here are our three tips to aid you in figuring it out. If you grind your teeth at night, your muscles are strained and this can result in you suffering from neck pain, facial or jaw pain, teeth pain or even earaches. If you wake up with a headache most mornings or any upper body ache, it could be from teeth grinding as the movement irritates all the other muscles around your jaw. If you’ve recently noticed your teeth become more sensitive, this might be from the grinding as well. The inside of your mouth can also be a tell-tale sign, for example if you notice that you’ve bitten your cheek or tongue during the night, this could be from clenching. 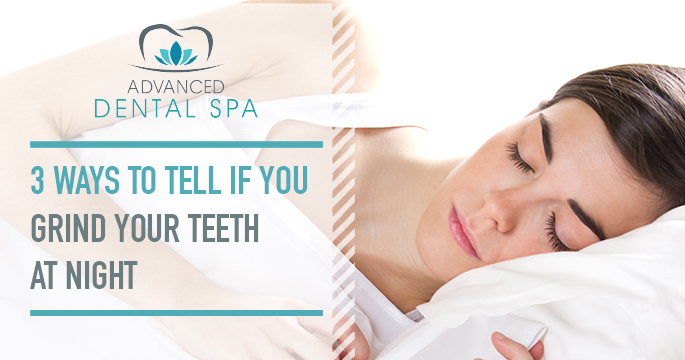 If you find that you have trouble sleeping, this could also be caused by the tension in your jaw. Teeth grinding can at times be extremely loud and as it’s on going, it could wake up your sleeping partner or even someone in the room next to you. It’s an obvious way to tell you grind your teeth if others can hear you. And if your partner does wake up from it, get them to nudge you a little so that you can awake and try to relax your jaw as well. If you have been grinding your teeth for a while now but aren’t aware of it, take a look at your actual teeth themselves. Do they look any shorter than usual? If you move your jaw around in certain ways, can you fit your teeth together as if it were a jigsaw puzzle? Are any of your teeth looking worn down or chipped? If you have fillings or crowns inspect them as well, are they still intact? If you notice anything slightly off, consult with your dentist as soon as you can. Other signs can include feeling anxious at night or constantly feeling achy in the mornings. If you find you might be experiencing any of these symptoms, it’s best to consult the dentist as teeth grinding can lead to extreme dental problems if it isn’t diagnosed early. And as most people have very mild symptoms, it’s important to take these symptoms seriously. After all getting a plate or mouthguard to protect your teeth is far less expensive than having to restore your whole smile. If you think you’re grinding your teeth at night, don’t hesitate to book a consultation with us today.